Won the NCAA Div. II National Championship in the indoor 4×400 meter relay last year, along with teammates Georgette Nixon, Sarah Hill, and Shatajah Wattely. Crystle ran first. Southern record holder in six events: the 500 meter (indoor), the 400 (indoor and outdoor), as a member of the 4×400 (indoor and outdoor), and as a member of the 4×200 (outdoor). Northeast-10 champion in the 500 indoor. Placed seventh in the 400 at the NCAA Div. II Outdoor National Championships. Numerous academic honors. 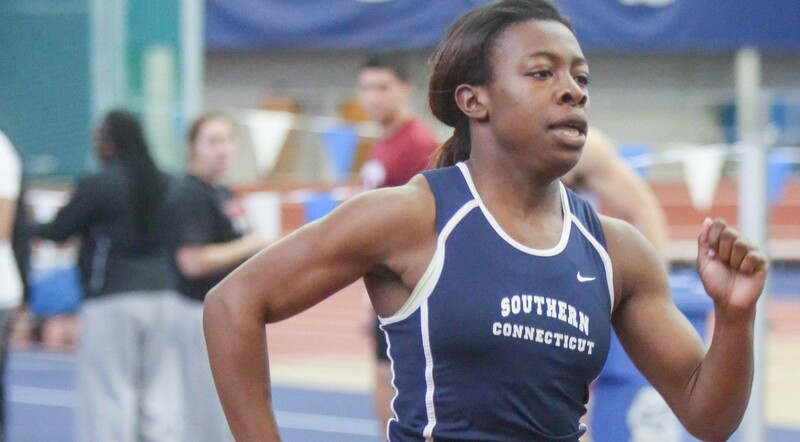 Hill is a third-generation track athlete. As a Peer Mentor, Hill helps students suc- cessfully transition to college. In fall 2015 she made a presen- tation to student-athletes on how to succeed in the classroom and on the playing field. Also, treasurer of the Math Club, and worked in the Office of Admissions over the summer. “I used to sit in my room and make up math tests to give to my parents. When friends came over, I would say, ‘Let’s play school.’” Her goals include finding a position in an inner-city school and working with those students who need most assistance. 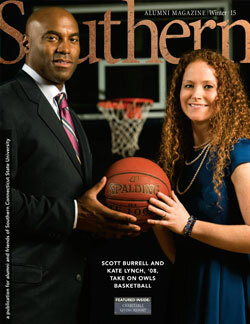 Read more in the latest issue of Southern Alumni Magazine.